You must be amazed to know that the baby care products contribute towards a million dollar industry. Numerous manufacturers around the world supply products like baby soaps, baby skin creams, baby shampoos, baby powders and baby diapers to the market. However, it is equally surprising to know that many of these products need to be discarded. Many research works and studies have thrown light on the harmful ingredients and materials that have been used in some of these products. If you have a baby product store, you must consider it as a responsibility to supply safe baby products to the parents. Here is a discussion about baby care products that actually help in taking good care of the young ones. Few years back, talcum powders were quite popular among parents to cure baby rash caused by the use of baby diapers. However, many of these products have been found to cause respiratory issues. It is suggested to buy powders that contain natural and herbal ingredients as they are free from side-effects and take better care of the baby skin. Shampoos that contain synthetic scents are no more worthy for the health of the little ones. These products are actually allergic to the soft and sensitive skin of the babies. You must choose baby shampoos that contain natural components for producing scents. Going further, unscented shampoos are also available in the market if you are not too inclined towards scents. Aloe Vera is no hidden secret when it comes to the maintenance of skin health. The baby care product manufacturers have started using this wonderful natural ingredient in organic baby soaps. Aloe is also used in other baby care products like skin creams and in remedies used for treating rash caused by baby diapers. A number of baby oils and baby moisturizers few years back used mineral oil as the main ingredient. The oil has been proved to be harmful for health, particularly for baby skin. As a result, the focus has been shifted to prepare products using natural oils like those obtained from chamomile and sunflower. The baby diapers prepared from synthetic materials are slowly being withdrawn from the lists of baby care products. These diapers have been held responsible for causing discomfort to babies and pollution to the environment. You should look for baby diapers that are made from certified organic cotton and other such organic materials. Certain chemicals used in baby products have been declared as unsafe. These include octinoxate, polyethylene glycols, triclosan, ceteareth and diethyl phthalates among many others. You should always check for the ingredients before choosing baby care products to avoid choosing products containing these harmful chemicals. There are organic baby care products manufacturers around the world that can be easily found on the internet using business directories. 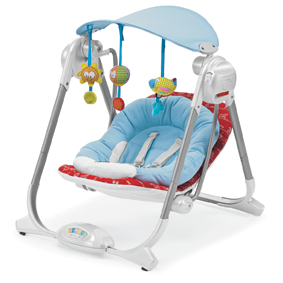 Obtaining safe baby products from them should bring more customers to your store. Hi! This is the right blog for anyone who wants to find out about this topic. Great stuff, just great! I think that choosing baby care products is very important and needed much attention of parents because they have to decide whether the product will suit their kids or not and its good for them or not.